Q. Arrio P. Annaeo cos. ‡ MMDCCLXXII a.u.c. The current non-corporate government of Nova Roma is established and functioning according to the lex Cornelia Domitia de re publica constituenda, to the senatus consulta ultima regarding the crisis and the laws and Constitution of Nova Roma. You can also find inforation about the previous governments clicking here. The lex Cornelia Domitia de re publica constituenda is a temporary legal framework that enables Nova Roma to live and function in the current circumstaces when it is deprived from its Corporation (Nova Roma, Inc.) by Caesar, Sulla and their Coup Faction. The “non-corporate” civic body, i.e. 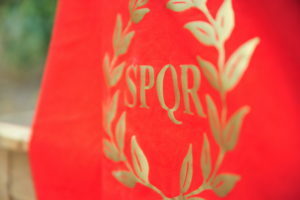 the active community of Nova Roman citizens, is separate and independent from the Corporation of Nova Roma, just like at the time of the founding of Nova Roma in 1998. The current government of the free citizens and free parts of Nova Roma is working on the resolution of the crisis caused by the Sulla-Caesar Coup Faction, and, at the same time, aims to restore an energetic, active cultural and civic life to the Nova Roma community.